Our latest CD is now out! We continue to feel blessed to have Jody King so masterfully record, produce, and engineer our CDs at his After 5 Studio in Ararat Virginia. He also plays banjo wonderfully well on: "Mama Loved the Redbirds", "Just as Long as You Love Me", "Red Clay Halo", "It's Alright", and "Evelina." Cheri Williams has done the outstanding photography for this CD. Bill is playing a carved bass he made and a VA-OM east Indian rosewood and torrified spruce top guitar he made in 2016. Maggie continues to play the sweet sapele dobro Bill made for her years ago. Jody is playing a unique banjo of his design and construction. As you can see from the list of songs below, we are very taken with the songwriting of Mark "Brink" Brinkman as evidenced by the fact that 5 of the songs on this CD are written by him! 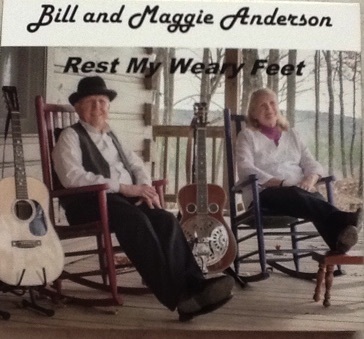 Our CD recorded in 2015 is Rest My Weary Feet. It includes some songs we have been sharing for a long time, but are on CDs that are now out of print and some new/old songs we're excited about being able to share. Our thanks to Miss Becky Buller for the wonderful story song - the title cut! 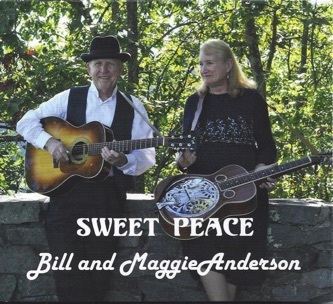 Sweet Peace – was released in May 2013. It was recorded at After 5 Studio by Jody King, who also did the producing, mixing and mastering. The photography was by Cheri Williams. Bill is playing a Brazilian OOOO short scale guitar he made and Maggie is playing that same sweet sapele dobro Bill made years ago for her. Bill is also playing a carved bass he put together and Jody is playing a banjo he made on “Stony Creek”. The Master's Garden - is all-gospel! It was recorded and produced by Jimmy Edmonds, January 2010, mastered by Wes Easter with photography by Cheri Williams, and graphic design by Ben Anderson. Bill is playing the same short-scale guitar he played on our last album and a bass he put together (an all carved model). Maggie is playing that same sweet sapele dobro Bill made for her and Jimmy Edmonds played a fiddle he made on two of the cuts. It's not available through County Sales yet, but we're working on it and hope to have it available through CD-Baby and I-tunes soon. 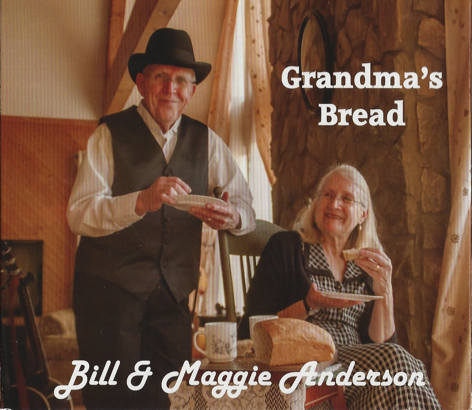 You can go to our fan page "Bill and Maggie Anderson" on Facebook for some audio clips. 2. Tramp on the Street - Grady and Hazel Cole, Dixie Music Publishing Co.
High on a Mountain was recorded at Eastwood Studios, Cana, VA January 2009. 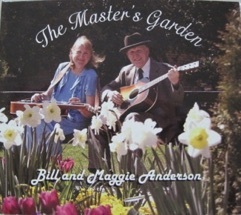 Bill is playing his short-scale rosewood dreadnought and Maggie is still playing the sapele dobro he made for her. This album has been very well received so far. 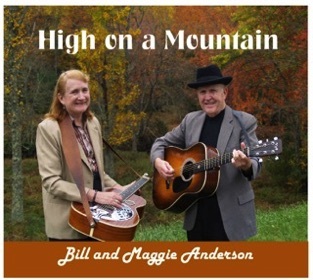 The November 2009 issue of Bluegrass Unlimited said of it: "For homespun vocals supported by dynamic instrumentation, it would be almost impossible to top the music of Bill and Maggie Anderson" In it we continue to reflect our warm feelings for these beautiful Blue Ridge Mountains and our love of the Gospel message. We are honored to have Chris Stuart write the liner notes for this album and for Bill Knowlton to write a review calling it "another fine CD by two of Central New York's favorite oldtime country and bluegrass artists.... fully demonstrates (their) versatility..." This album was reviewed in the December 2004 issue of Bluegrass Unlimited in which Les McIntyre said "The music of Bill and Maggie Anderson has a warm down-home feeling, and hopefully 'Road Into Town' will introduce their music to new audiences."